A man in California has filed a lawsuit against both 3M and its subsidiary Arizant Healthcare. 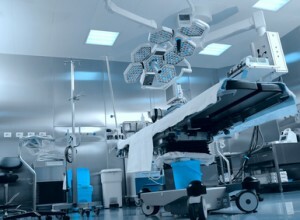 The products liability lawsuit stems from the use of a warming blanket during a hip replacement surgery. The claim alleges that the use of the blanket led to a serious infection that caused an enormous amount of harm to the plaintiff. The blanket is known as the 3M Bair Hugger. The lawsuit was filed in federal court in the Eastern District of California. The plaintiff lays out several different causes of action and he is seeking several different forms of financial recovery. According to the complaint that was filed to initiate the lawsuit, a link to which can be found here, the plaintiff had hip replacement surgery on April 14, 2014. During that surgery, the Bair Hugger was used to keep the patient properly warm during the procedure. The complaint alleges that the warming blanket contained contaminants. The complaint further alleges these contaminants were exposed to the surgical wound. As a result of this alleged exposure, the plaintiff developed an infection. The infection allegedly led to several different types of harm. The plaintiff needed to undergo a protocol of antibiotics. These antibiotics were administered both orally and by way of an IV. The plaintiff also had to endure a surgical procedure that irrigated the infected area of his body. As a result of these problems, the plaintiff alleges that he still must take daily doses of oral antibiotics. He also continues to struggle with mobility and claims to have suffered permanent damage. A legal cause of action is in essence a theory or a reason as to why the defendant should be held liable for the damages a plaintiff is seeking in a lawsuit. Punitive damages are sought when a plaintiff believes a defendant acted with particular malice, willful disregard or even intent. Punitive damages are awarded by courts in order to punish defendants that are found to have acted in a particularly egregious manner. If you or someone you love has been harmed as a result of using a defective medical product, you need to contact the products liability lawyers at Parilman & Associates today to schedule a free initial consultation. You can either email the firm or call 800-800-DRUG.